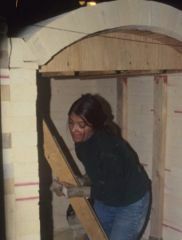 Showing results for tags 'kiln construction'. 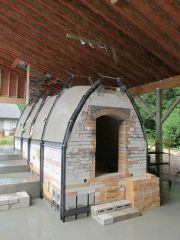 Anagama built in 2 weeks during the summer of 2014 by students in my kiln design and operation class at the New Hampshire Institute of Art. It fires completely smokeless and flameless at the top of the chimney.